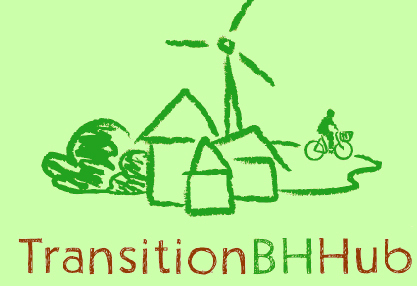 The Green Community Fairs are being organised for the Community in conjunction with the Transition BH Hub who are groups of people living in Poole, Bournemouth, Wimborne, Christchurch and surrounding areas starting Transition Towns initiatives for the benefit of the community and for the environment. The award-winning Green Goals project is a unique partnership linking football, education and business which aims to improve the local environment, raise environmental awareness and deliver benefits for the community as a whole. and grants from The Co-opertaive Membership and Bournemouth Council’s Green Goals Scheme. This photo (and most of the decent ones of Poole Park) by kind permission of Steve Harris http://www.crabbycabby.co.uk). Entry to the fair was FREE OF CHARGE – thanks to our sponsors . whether you want to enjoy a peaceful walk or cycle ride through the Forest, experience a ride on an authentic narrow-gauge steam train or even Go Ape on a high wire forest adventure swinging through the tree tops. Young Enterprise is the United Kingdom’s largest business and enterprise education charity. Every year we help 250,000 young people learn about business and the world of work in the classroom under the guidance of volunteers from 3,500 companies. Young Enterprise’s mission statement is “to inspire and equip young people to learn and succeed through enterprise.” Its guiding principle is to do this through ‘learning by doing.’ Our programmes range from ‘Ourselves’ for Primary school pupils as young as four. It takes students on an engaging story-based journey exploring the world of work, saving, earning, decision making and teamwork. They culminate in Young Enterprise’s flagship Company Programme which enables 30,000 15-19 year olds run their own real companies for a year with help from business mentors. Many of the scheme’s alumni have gone on to outstanding business success. The Warmer Group, helping to save you up to 80% on your energy costs. Membership sits at the heart of The Co-operative Group – it’s what makes them very different from other businesses and it’s what 5 million people are proud to be a part of. But what exactly is membership all about? And what can it offer you? Well, as a member you’re part of a group of people – a real community – who share the same goals, have a say in how The Co-operative Group is run, and enjoy a share of the profits – click the logo for more information. Please click pictures below to jump to our supporters websites. Total Sun will tell you all about evaluation services in domestic roof and commercial projects detailing system size and energy yield prediction using specialist software to compile the unique integration characteristics of panels, inverters (by manufacturer) and site specific details. Your opportunity to speak out on the health and social care issues in Bournemouth and make a change. Living Well Choices is a community health, fitness and wellbeing programme provided by BH Live for the people of West Howe and Kinson with an aim to improve your potential to live and enjoy a more active, healthier and fulfilling life. If that’s what you want then this will be right up your street! Eco Floorcare are specialist carpet cleaners, rug cleaners and upholstery cleaners operating across Bournemouth,Poole, Southampton and the rest ofDorset and Hampshire. We use the world renowned Host Dry Extraction Carpet Cleaning System and the Aridex Dry Upholstery Cleaning System for organic dry deep cleaning of carpets, rugs, grouted tile floors and upholstery.